Skin sensitisation and increased vascularity, e.g. rosacea, diffuse redness and flushing. Dermal and epidermal structural changes, e.g. enlarged pores, elastosis and collagen changes? 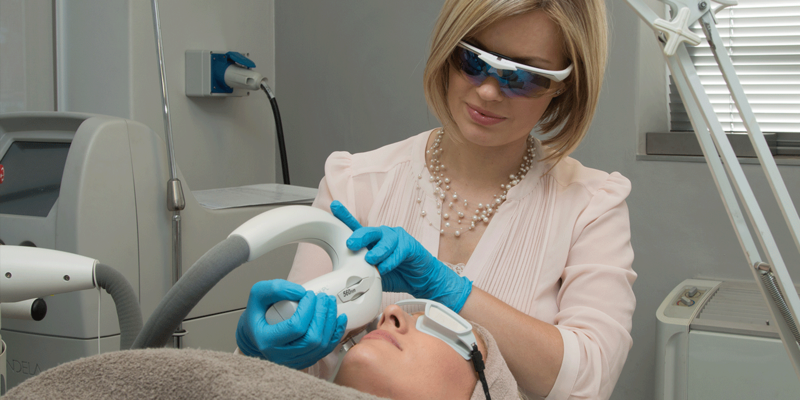 This OPT photo-rejuvenation treatment is an advanced version of IPL that gently treats all conditions mentioned above and leads to a gradual and natural skin improvement, without downtime. The face is the premium treatment area, although the hands and neck can also be treated. A photofacial is a 30-minute procedure in which intense pulses of light are used to penetrate deep into the skin. IPL™ photo-rejuvenation then causes collagen and blood vessels below the epidermis to constrict, reducing redness and age lines. People who have blotchy, sun-damaged, or discoloured skin, or whose skin is affected by large pores, freckles, or wrinkles, may benefit from an IPL™ photofacial. The procedure is also quick and involves no downtime, making it a convenient option for people with busy schedules. Those with dark or deeply tanned skin sometimes experience complications following IPL™ photo-facial treatment. It is advised that patients with dark or deeply tanned skin or photo epilepsy not have the treatment done. Patients should discuss such issues with a trained dermatologist before undergoing treatment. The procedure involves only minimal discomfort, while the redness and swelling that sometimes occur after treatment disappear shortly.